Martin Luther was born on 10 November 1483 in Eisleben, in today’s state of Saxony-Anhalt, Germany. The son of a farmer Hans Luder and his wife Margaretha, he went on to study at the university in Erfurt, completed his master’s degree in 1505, but abandoned further studies in law to become an Augustinian monk. Luther’s call for reforms in the theology and practices of the Roman Catholic Church, and for more political and social justice eventually led to the nailing of his 95 Theses on the door of the Castle Church in Wittenberg on 31 October in 1517. This action triggered off the Protestant Reformation in Germany, spreading to the rest of Europe, and eventually leading to Lutheranism as known today. 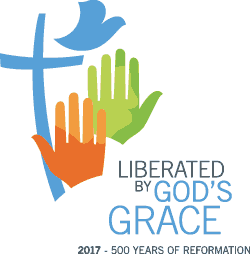 Luther initially sought reform within the Roman Catholic Church but his call for reforms led to the foundation of a new denomination. Luther was officially excommunicated from the Roman Catholic Church in 1521. The German translation of the New Testament in 1522, and completion of the Old Testament in 1534 stand out as some of Luther’s major works. The accomplished hymn writer also served as dean of theology at the University of Wittenberg. Luther married Katharina von Bora in 1525, and they had six children. He died on 18 February 1546 in Eisleben, at the age of 62. Why is Martin Luther important? Luther’s thinking on the selling of indulgences and justification by faith alone challenged the authority of the 16th century Church and ignited the Protestant Reformation. His declaration that Christians could not buy or earn their way into heaven but only entered by God’s grace, marked a turning point in Christian thinking. His writings on the authority of Scripture reformed Christian theology and reshaped the Christian family. Pastor, teacher, reformer, Luther is a major historical figure and Christian thinker who continues to inspire. What did Martin Luther do? On 31 October 1517, Luther posted his 95 Theses on the door of the Castle Church at Wittenburg, Germany, challenging the Church to change its thinking on the selling of indulgences and calling it to accept that it is only by the grace of God that Christians enter the kingdom of heaven. Challenged by the Pope and the cardinals, he would not recant, citing Scripture as his guide. In 1521 he was excommunicated but he went on to preach, teach and write, sparking the Protestant Reformation that has changed the face of the Church, and of history. Why did Luther translate the Bible into German? Before the Reformation the Bible was available in Latin and only to clergy. Luther wanted to encourage everyone to engage with the Bible and believed it was important to make the language accessible. Luther’s translation of the Bible was close to the original texts because he translated as much as possible from the Hebrew and Greek texts. The earlier German versions had used the Latin translation of the Bible, known as the Vulgata. Luther’s translation of the Bible was also a milestone in the development of the early modern German language. What did Luther say about youth and education? Because of his understanding of baptismal theology and the priesthood of all believers, Luther pleaded for education in the Christian faith and general education that would help equip believers for both their professional and civic lives. In 1524 he wrote “To the Councilmen of All Cities in Germany that they Establish and Maintain Christian Schools” urging them to help the youth: “If we have to spend such large sums every year on guns, temporal peace and prosperity of a city, why should not much more be devoted to the poor neglected youth”. How did Luther work to serve the poor of 16th century Germany? In the Middle Ages care for the poor was a religious obligation. People donated money to the needy in order to acquire salvation for themselves. Luther turned this system upside down, saying good works were not the way to attain salvation. Through their faith in Christ, Christians no longer needed to worry about their own salvation. Their motivation for caring for needy neighbors was simply the need. Luther argued that it was a civilian obligation. Many cities that had accepted the Reformation took responsibility for organizing care of the poor. How did Luther understand the role of the Christian pastor? When an outbreak of Bubonic Plague hit during the 16th century, some pastors wrote to Luther asking whether the proper response was to stay or flee. Luther declared that pastors should be like good shepherds, who are commanded by Christ to comfort and strengthen their flock in the hour of death, advice that seems relevant today in the face of the Ebola crisis. He was also careful to allow pastors to make their own decisions in light of their relationship with God. Luther also urged the establishment of public hospitals to care for the sick. Why did Luther emphasize the centrality of Scripture? It is not possible to talk about Luther or the Reformation without relating them to the Bible. Being an Old Testament scholar, Luther saw the depraved condition of the Church as a sign of its serious deviation from the basic interpretation of Scripture. His emphasis on the centrality of Scripture for Christians was rooted in what he saw as over dependence on Church tradition and so-called special revelation as guides to Christian living. Luther preferred that Scripture should serve as the guide because it focuses on God’s promise and truth.